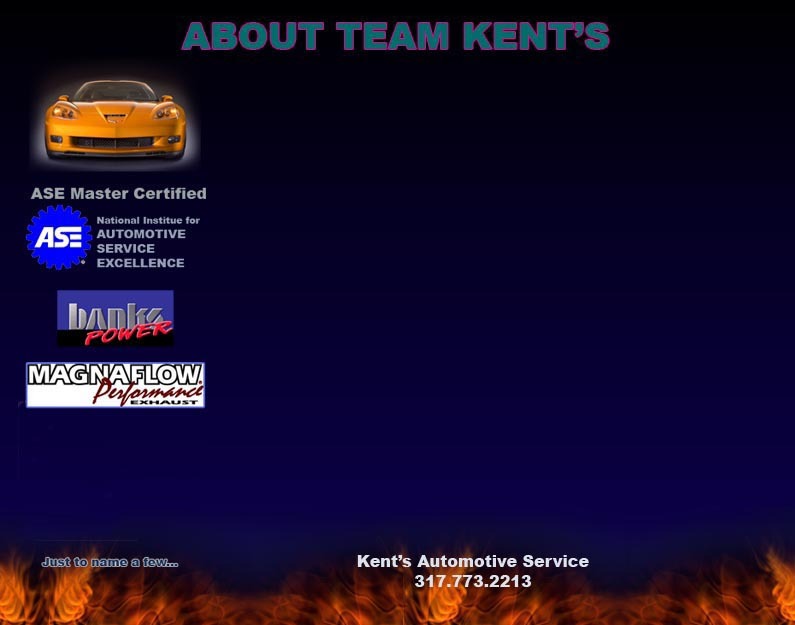 Kent's Automotive service has been locally owned and operated since 1981. The owners of Kent's take pride in the type of business they run and as such are seen working at their business everyday. All of Kent's technicians have been certified as master automobile technicians by the ASE to ensure the highest level of service is achieved. Kent's staff takes great pride in providing their customers with service they can depend on. They don't sell you what you don't need and do not hit you with "hidden" charges at check out. Kent's offers everything from custom exhaust systems, including diesel systems (up to 5-inch), to complete engine and transmission overhaul services. Kent's is an authorized dealer of Banks Performance Systems and Magnaflow Exhaust Systems, as well as a number of other performance products. Having experienced technicians, great customer service and know how is only a small part of why Kent's has earned the distinguished honor of being part of Angie's List for service excellance. These are just a few reason's why Kent's is your complete automotive service solution.